Whether you need a pot leaf drawing for a school project or for more professional reasons, drawing a pot leaf is considerably easier than you might think. Break it down into basic steps, take it slow, and you're good to go. It is best to always draw with a pencil rather than a pen so if you make a mistake, it is easy enough to fix. Find a picture of a pot leaf that you want yours to resemble. You probably won't be able to replicate it exactly, but you can try to get close. Start with the basics. 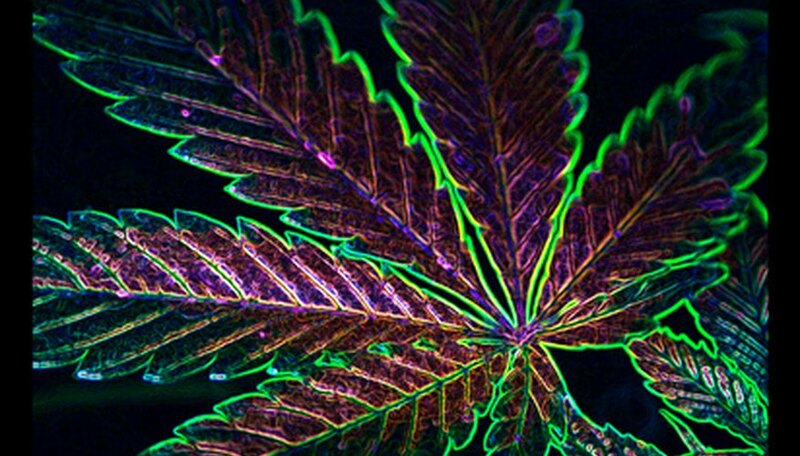 A pot leaf is comprised of seven smaller leafs. Each leaf has a "bone" running through its center. Draw a straight, vertical line, which will be your center "bone" and the stem. Draw two "V"s. One is upright and running directly through your center line. The second "V" is upside down and also directly through your center line. Draw a straight, horizontal line that lies between the two "V"s. You now have the basic outline of your leaf. Compare this to your finished drawing and erase and shorten any lines you've drawn that need it. The bottom leaves are considerably shorter and smaller than the top leaves. Pot leaves have razor-like leaf edges to them, so you'll need to mimic that. Fill in the razor-like edges along each of your straight lines you've drawn, making sure you leave the stem as is. Deanna Koch has worked as an IT professional since 1995. She attended Drake University with a major in computer science. Koch started writing professionally in 2000 when she began writing application user manuals and guides. Her user manuals were distributed in the marketing department of Target Corporation, and her many how-to guides are available for download on Drake University's website as well as eHow.